in a more logical and comfortable arrangement. helping to minimize strains and fatigue on the hands. your hands travel more than they should and you end with pain in your wrists and shoulders. is only for those who already have pain or work-related conditions like CTS or RSI. and can easily develop CTS or RSI. and to reduce the pain caused by conventional keyboards. and therefore helps reduce wrist and shoulder pain and strains. 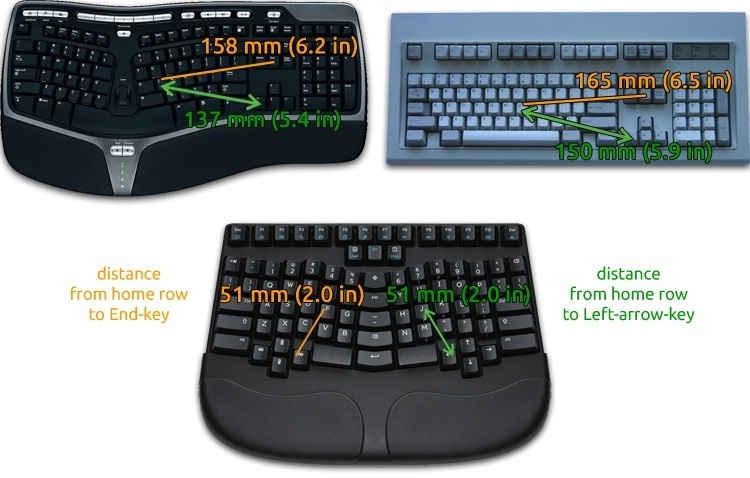 Don't wait for pain in your wrists or shoulders to start looking for a healthy keyboard.